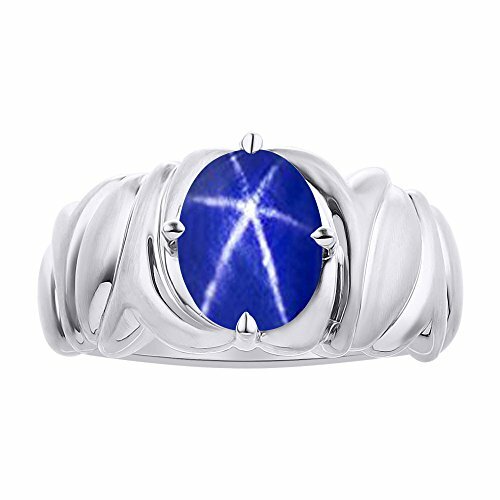 This Stunning Ring is Available in your choice of Sterling Silver .925 or Yellow Gold Plated Silver and in your choice of the following Birthstones JANUARY - GARNET, FEBRUARY - AMETHYST, MARCH - AQUAMARINE, APRIL - WHITE TOPAZ, MAY - EMERALD, JUNE - SMOKY QUARTZ or SIMIULATED ALEXANDRITE / MYSTIC TOPAZ, JULY- RUBY, AUGUST - PERIDOT, SEPTEMBER - SAPPHIRE OR GREEN SAPPHIRE, OCTOBER - ONYX OR OPAL, NOVEMBER - CITRINE / YELLOW TOPAZ, DECEMBER - BLUE TOPAZ, TIGER EYE, BLACK STAR SAPPHIRE, BLUE STAR SAPPHIRE OR STAR RUBY. Please message us with your choice of Metal color, Stone color and Ring Size. If we don't get a message from you jewelry will be shipped as shown in the first picture. Don't hesitate to message us with any questions. :) * Will be shipped in elegant gift box. * The natural properties and composition of gemstones define the unique beauty of each piece. The image may show slight differences to the actual stone in color and texture. Color Stones may have been treated or simulated. Total Metal Gram Weight posted is approximate, it is the approximate finished Item Weight including stones.